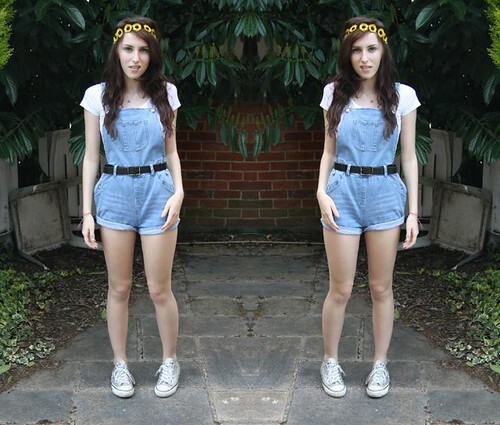 OK I've jumped on the bandwagon and now i have a pair of denim dungarees. I would have joined in with this huge trend ages ago if I could have found a pair that I love but it was just impossible, I literally tried on about 7 pairs as well as looking all over the internet for the perfect pair but I just couldn't find any I liked. I nearly bought the £12 pair from Primark but they weren't high waisted, the ones from Topshop were a funny colour - it was just a nightmare! I didn't think it was gonna happen. Missguided have some amazing new stuff in at the moment, I love their bardot styles. They some in so many colours, and different pieces - crops, bodycons, skaters, peplums! Turquiose and Paisley are my two faves atm. I also know they are out in Barcelona shooting their new range at the moment, I'm so excited to see the images! I am totally becoming a Missguided Freak and I love it!! Ooooh you look so cute in these, they're really sweet! 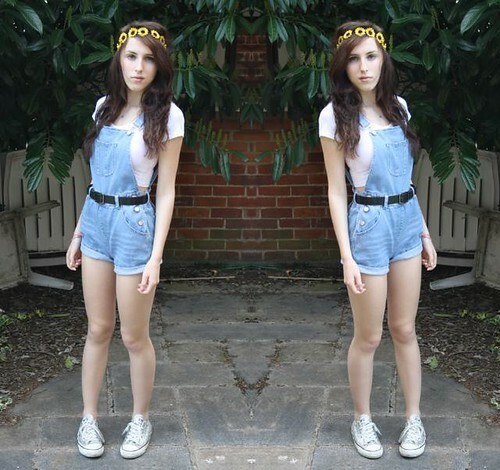 Aww the dungarees look so so cute! Love the floral head piece too. Fantastic pair if dungerees I agree the only way to wear them is with a crop top. 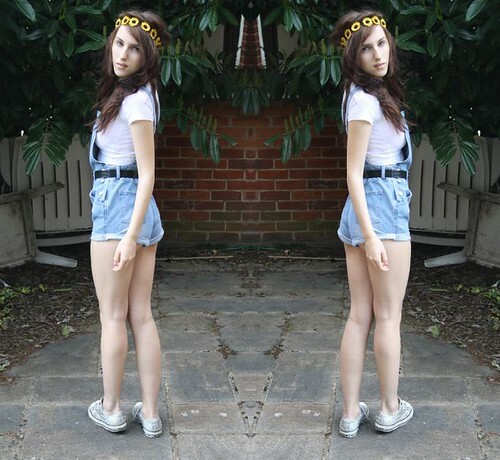 Cute dungarees! I love the way you've styled them too with the cute flower crown! Looks great! You have a really great style of writing! I would love to follow each other on bloglovin?